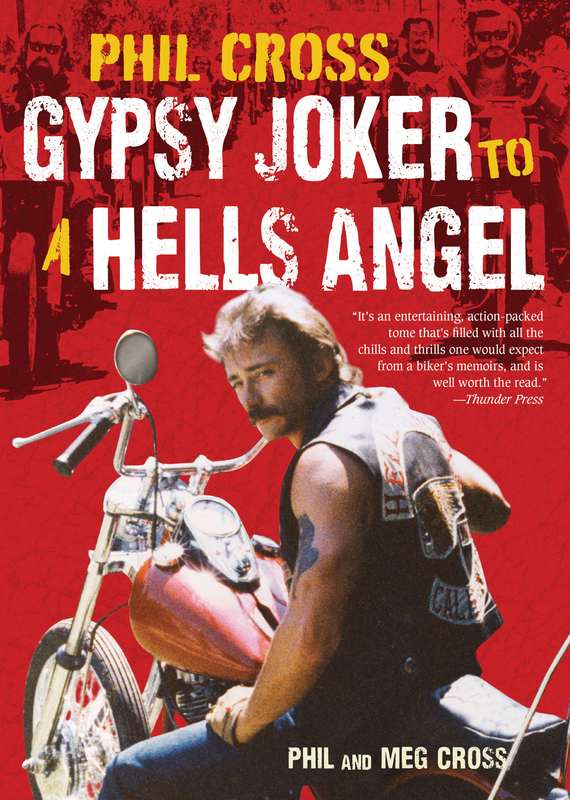 Go for a ride on the wild side with a member of the Hells Angels Motorcycle ClubIn the early 1960s, a young Navy vet, motorcyclist, amateur photographer, and rebel named Phil Cross joined a motorcycle club called the Gypsy Jokers. He started a San Jose chapter of the Jokers and embarked on the most action-packed years of his life. The Jokers were in the midst of a shooting war with the real Hells Angels. The fighting became so intense that the Jokers posted snipers atop their clubhouse. This was a rough time, but it was also the height of the free-love hippie era, and as a young man, Cross enjoyed himself to the fullest. He never let anything as minor as a little jail time stop his fun. Once, while serving time for fighting and fleeing an officer, Cross broke out of jail, entered his bike in a bike show, won the bike show, and broke back into jail before anyone discovered he was missing. Though Cross was tough..? ?he was a certified martial arts instructor..? ?the Angels proved a tough foe. After multiple beating-induced emergency room visits, Cross decided that if you can't beat 'em, join 'em, so he and most of his club brothers bacame the San Jose chapter of the Hells Angels. He has been a member of the Hells Angels for 47 years. Phil Cross is a former bodyguard, martial-arts instructor, and amateur photographer. A former member of the Gypsy Jokers Motorcycle Club, he has been a member of the Hells Angels Motorcycle Club since 1969 and is still active in the club. He is the author of Phil Cross: Gypsy Joker to a Hells Angel, a true chronicle of his life and wild times.Phil Cross is a former bodyguard, martial-arts instructor, and amatuer photographer. A former member of the Gypsy Jokers Motorcycle Club, he has been a member of the Hells Angels Motorcycle Club since 1969 and is still active in the club. This is his first book.